We are currently witnessing the pursuit of high-performing, reliable, scalable, secure, and privacy-preserving connected and automated vehicle technologies, as well as associated mobility services. These ongoing innovations present an extraordinary challenge for the research community. The safety, real-time and security needs of vehicular systems and their application scenarios make the study of these systems both exciting and challenging. Goal-driven inter-disciplinary collaboration among the automotive industry and academic research community is increasingly seen as necessary. Furthermore, the connected and intelligent vehicle research field has been a very active field of research, development, standardization, and field trials. 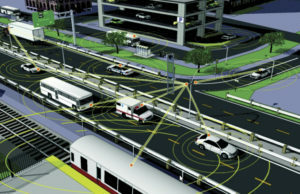 Throughout the world, there are many national and international projects in government, industry, and academia devoted to connected vehicles or autonomous driving vehicles. Many relevant industry standards and consortia are being created to prepare for the maturity of these emerging technologies. CarSys 2017 brings together researchers from these initiatives around the world to chart the way forward in this rapidly evolving field.